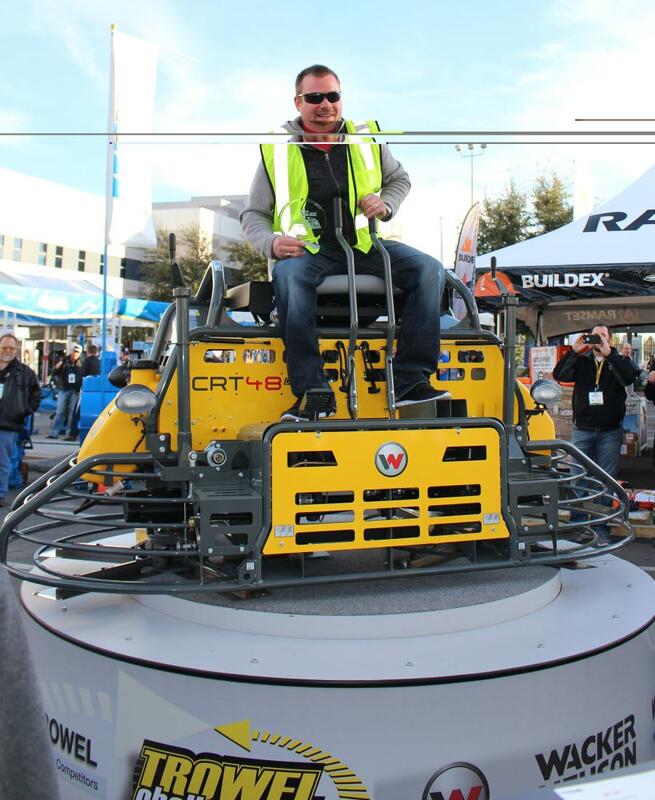 Concrete finishers from around the world competed in Wacker Neuson's Trowel Challenge® competition held at World of Concrete in Las Vegas, NV, February 2-5, 2016. 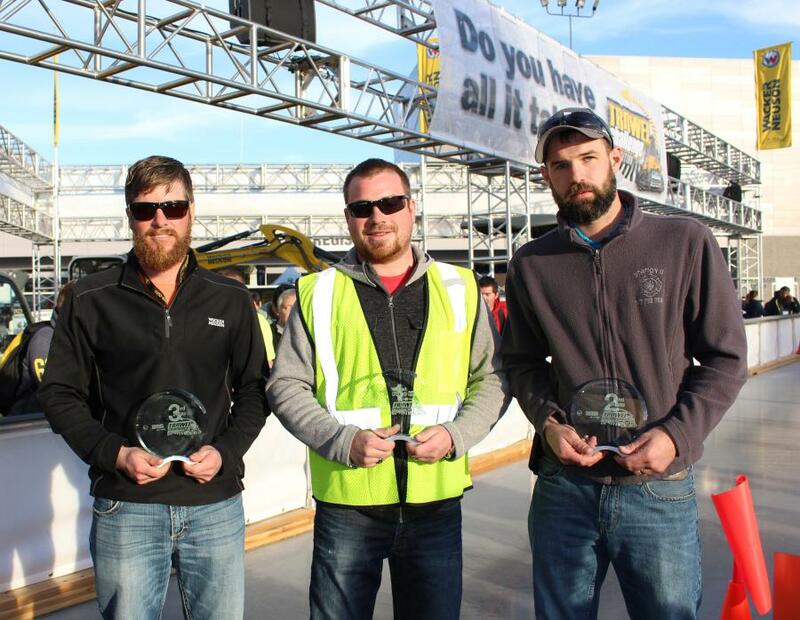 Over 150 of the best finishers from seven countries, four Canadian provinces and 29 states tested their trowel operating skills as they maneuvered around a timed obstacle course. 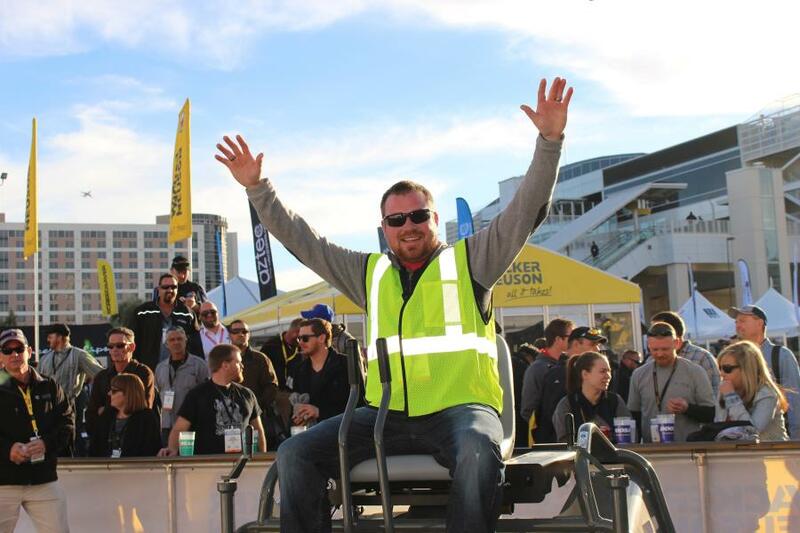 Like the previous eight years, the challenge draws thousands of spectators to the Wacker Neuson booth to cheer on the finishers vying for the grand prize; a custom 48-inch CRT 38-35VX ride-on trowel powered by a special VanguardTM BIG BLOCKTM V-twin engine. The contestants with the top 10 fastest times from the qualifying rounds advanced to the finals held Thursday, February 4. The top 10 finalist each had one run through the course and that time was added to their preliminary time. Combined run time: 62.963. Suchy came into the finals with the fastest qualifying time of 31.326. He maintained his lead and took home the grand prize with a final run time of 31.678. After his winning run, Suchy celebrated with a victory lap to the cheers of the large crowd that gathered to watch the exciting final that resulted in less than one second separating first and second place. “It feels great to be the champion of the 2016 trowel challenge,” Suchy said. “My wife and brother were with me at the competition and both of them couldn't believe it. I entered the competition focused on winning.” Suchy is owner/operator of Easy Lay Concrete that specializes in residential, commercial and agricultural jobs. They work on small decorative jobs, that according to Suchy, “will knock your socks off,” to large warehouse slabs. CRT 48 for his larger slabs. Combined run time: 63.549. As a first time finalist, Smith came into the final competition with a solid first run time of 32.326 putting him in the third qualifier spot. His final run time was the fastest at 31.223 moving him into the second place finishing spot. Combined run time: 65.054. 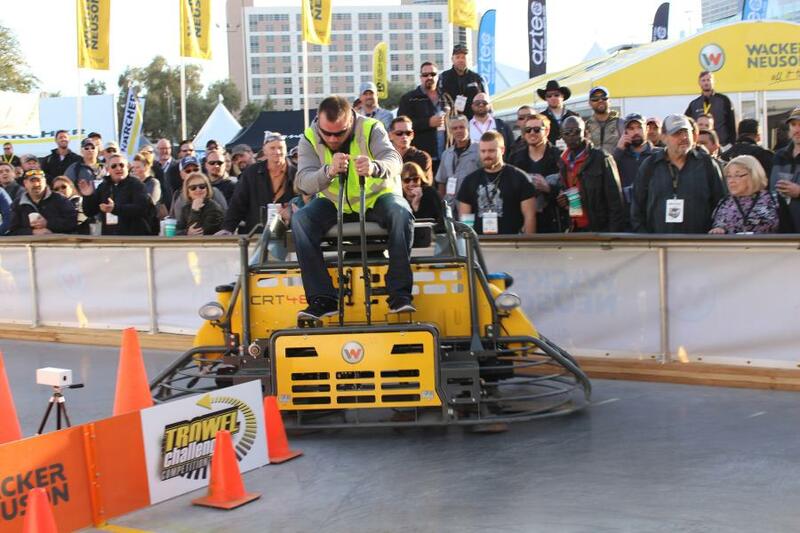 Garber is not a stranger to the Trowel Challenge finals finishing in third place in 2014. He was in eighth place going into the final with a qualifying time of 33.160. His final run time of 31.864 moved him up into a third place finish. Each of the top three finishers took home a crystal trophy and all top 10 finishers received a special trowel challenges shirt.